The art of scrapbooking is a pastime that many partake in to highlight an important event or period within their life. It serves a special function, as when one is feeling reminiscent, one can simply take out the scrapbook and reflect on their past events. 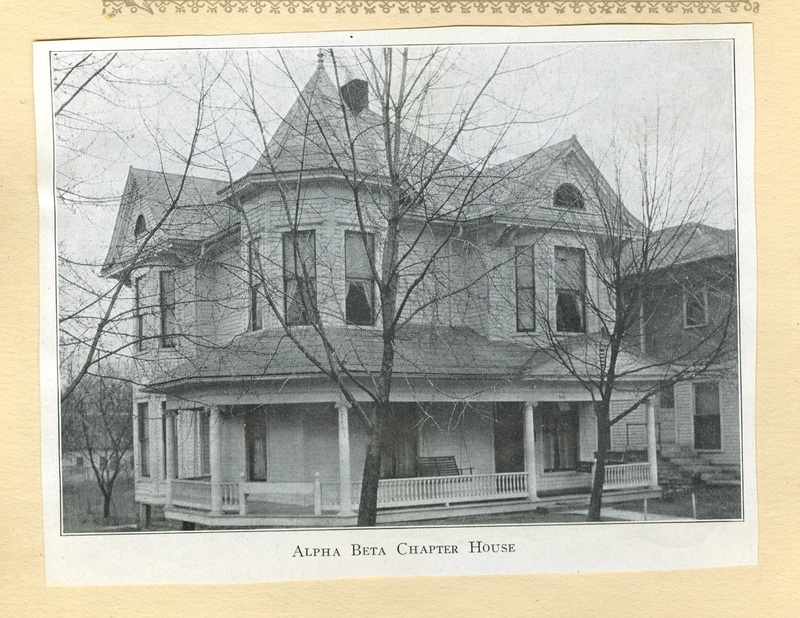 Thus, when becoming a member of the Indiana University wrestling team, Delmas E. Aldridge decided to keep a scrapbook documenting the process of the team and its members through collecting newspaper clippings and photographs. 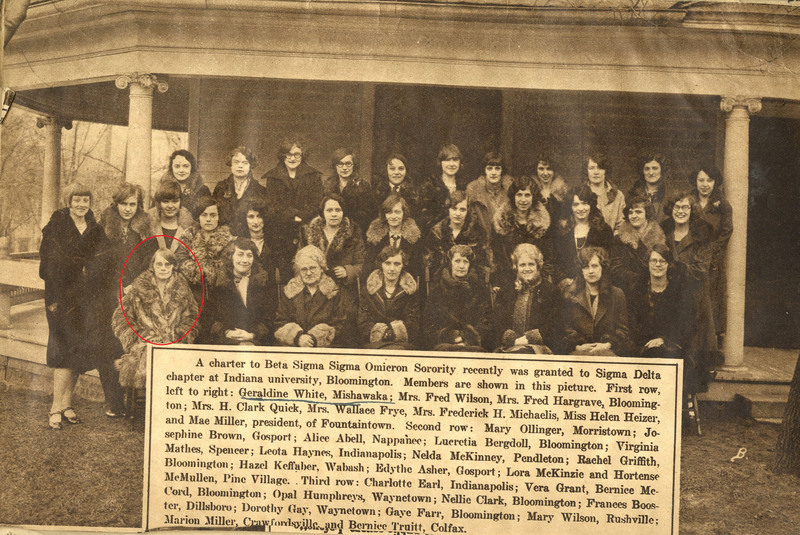 Aldridge was a member of the Indiana University wrestling team from 1929-1932. He was the first person to wrestle in the newly built Fieldhouse, now known as the Wildermuth Intramural Center as part of the IU Recreational Sports Facility. During the 1929 opening season match against Cornell, the wrestling match was held immediately after the Indiana-Pittsburgh basketball game. Thus, the largest crowd in the history of the mat game attended the opening season match in the Fieldhouse; luckily, Aldridge won the match for his weight class. 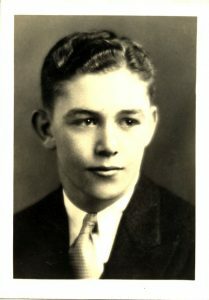 In addition, Aldridge won his first conference match against Purdue University in February of 1930, winning his first letter for a five-point fall. 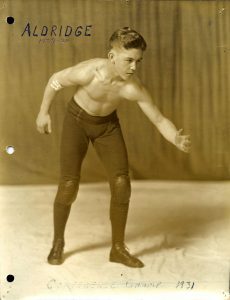 The entire Delmas E. Aldridge wrestling scrapbook has been digitized and is now accessible through Archives Online at Indiana University, or you can request an appointment to view the scrapbook in person by contacting the IU Archives. In the early to mid-twentieth century, students didn’t make friends on social media or find a date through an app. They went to student sponsored socials and dances, with chaperones and live bands. The women were asked to dance by a different male student for almost every song, and they needed cards to avoid scheduling one dance with two different boys. They knew how to have fun and even got to hear some great music! Who wouldn’t want to hear Hoagy Carmichael or Louis Armstrong? 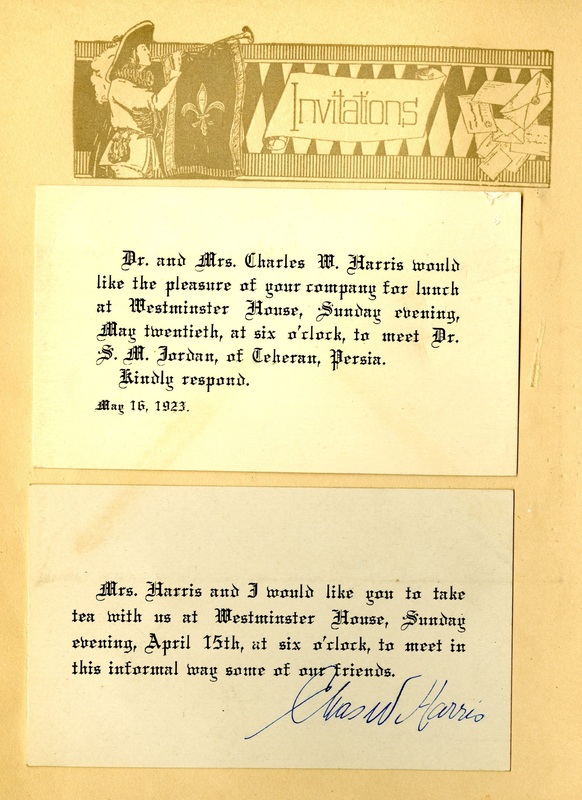 The Myra Montgomery Arthur Dance Card Collection and the Indiana University Archives Dance Card Collection hold numerous examples of inventive miniature booklets once used by female students to schedule their dance partners when at a social event. The two collections together contain over 50 different dance cards from dances and parties held at IU for students between 1900 and 1955. The ‘cards’ are often about the size of a person’s hand or smaller, with several pages provided for listing names. Some are in different shapes, such as a clover for a St. Patrick’s Day dance, or a football for the Foot-Ball Dance, held on the eve of the Syracuse-Indiana game in 1925. Others are attractive metal or leather booklets with a ribbon or string for a young lady to loop around her wrist while dancing. 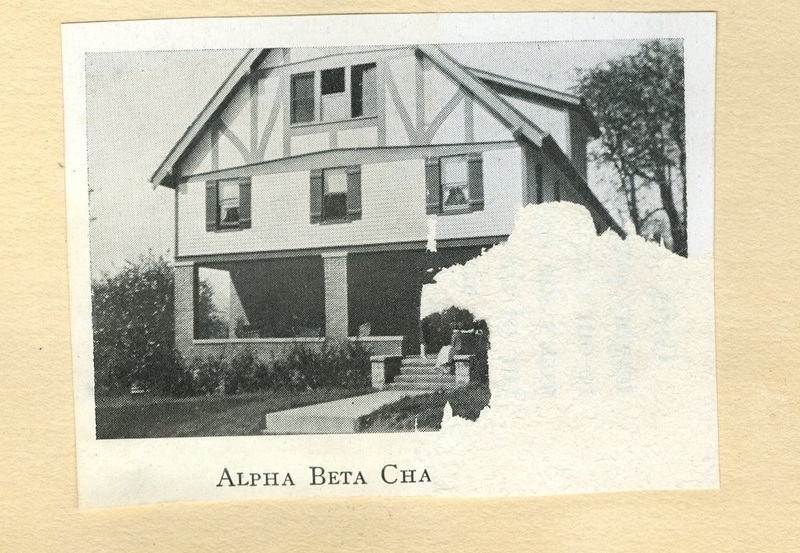 Parties and dances were sponsored by sororities, fraternities, and other student clubs and groups such as the Boosters Club, and there were always annual dances like the Annual Senior Siwash or the Junior Prom. There were so many dances, sock hops, and events to attend, a student could not only have a full dance card each night, but also a full schedule for the week! The “Jonquil Jump” held on April 14, 1928 was a dance sponsored by the AWS. Hoagie Carmichael performed. 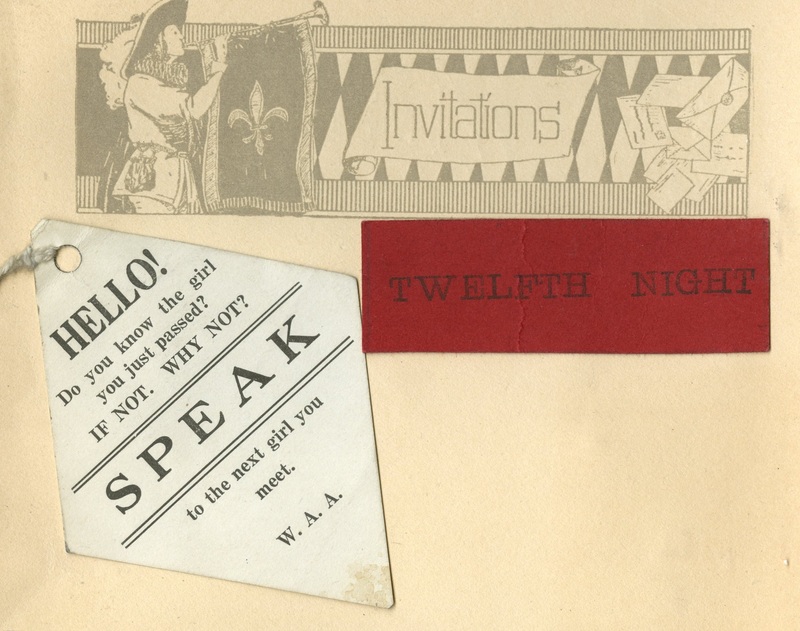 Inside the inventive and colorful covers of a dance card was a lady’s promised dances, but also a list of chaperones, the name of the student organization sponsoring the dance, and who performed the live music. Many of the performers were local or college bands that played at IU often, but some were upcoming or established stars of the jazz and big band era! 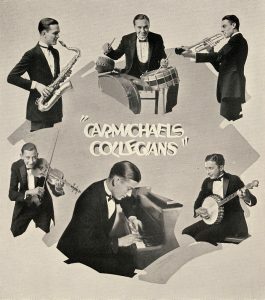 It turns out Hoagie Carmichael and Carmichael’s Collegians performed at a few of the student dances between 1924 and 1925 as his career was beginning. 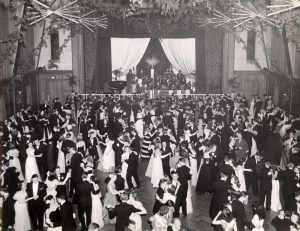 The students who planned The 1939 Junior Prom even somehow found a way to book Louis Armstrong! Carmichael’s Collegians. 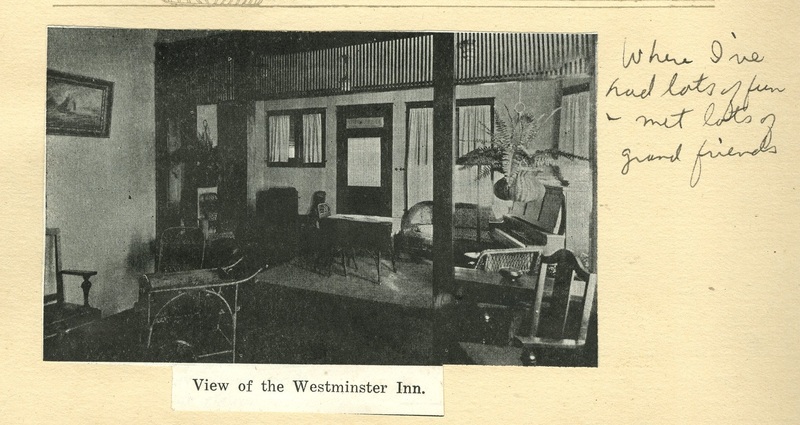 This image scanned from page 117 of the 1924 Arbutus yearbook. (Clockwise starting at bottom with Carmichael at piano) Howard Hoagland “Hoagy” Carmichael, Unknown, Howard Warren “Wad” Allen, Unknown, Unknown, Unknown. Hoagy Carmichael was a Bloomington native who, after graduating from IU with a bachelor’s degree and law degree in 1925 and 1926, went on to become one of the most significant composers and musicians of his time. Famous for writing well known hits like “Georgia on My Mind” and “Stardust” among others, Carmichael is an icon of the jazz and big-band eras. He worked with Johnny Mercer on a number of projects including collaborating with him on “Skylark” in 1942, and his songs were performed by many famous singers including Louis Armstrong. 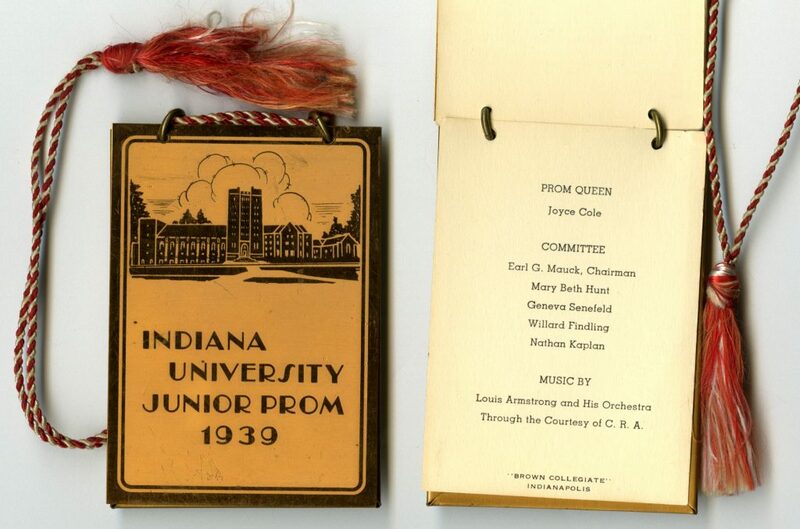 The dance card for the Indiana University Junior Prom 1939, held on May 5, 1939, has a metal casing and a page at the end shows Louis Armstrong performed at the dance sponsored by The 1939 Junior Class of IU. The young men and women who were lucky enough to attend a student dance where Hoagy Carmichael or Louis Armstrong were performing during the 1920s and 1930s not only had the chance to fill their dance cards, but also to see some of the era’s most famous musicians! 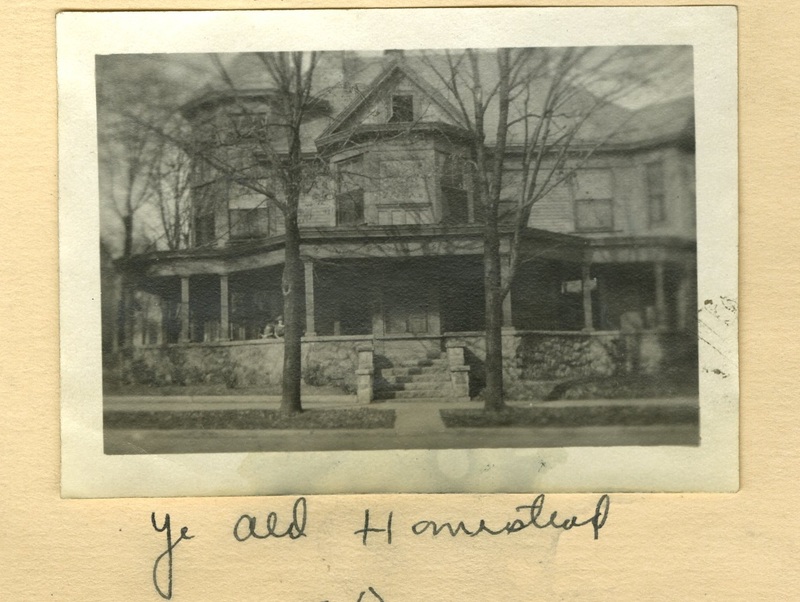 To learn more about the Myra Montgomery Arthur Dance Cards Collection or the Indiana University Archives Dance Card Collection, or see them for yourself, contact the IU Archives. 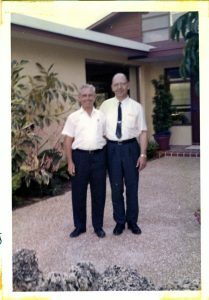 This month’s Sincerely Yours post is brought to you by the Archives Photographs Curator, Brad Cook! It is said the bucket was found on the Bruner farm between the towns of Kent and Hanover, Indiana and that Confederate General John Morgan (of Morgan’s Raiders fame) drank from the bucket during his incursion into Indiana during the summer of 1863. Another story traces the origins of the bucket to Illinois, where it was first repaired at the American Steel Foundries of Granite City, Illinois and given an “antiquated” look by H. Raymond McCoy of the same company. 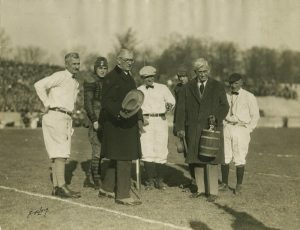 The bucket was unveiled at halftime on November 21, 1925 with writer and columnist George Ade (Purdue 1887) and Monon Railroad president Harrie Kurrie (IU Law, 1895) presenting. The symbol of supremacy for the friendly rivalry was cemented in place.“I” or “P” links made of brass were to be added to the bucket each year depending on which team won the tilt. The problem that first year was that the game ended in a 0-0 tie. Thus, Zora Clevenger announced that the bucket would be kept at IU until Purdue won a game. Soon after, a combined “IP” link was created to symbolize a tie. It is this very link that hangs from the handle of the bucket today and from which the remainder of the links are attached. Each is engraved with the date and score of the game. 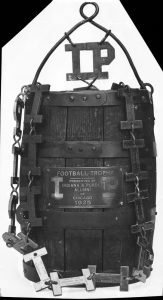 Over the years the trophy has been: kidnapped on several occasions, escorted by the IU ROTC in 1945 from the IU Archives to the Auditorium for a football convocation, displayed on the third floor of L.S. Ayres in Indianapolis in 1950, and filled with beer after IU students “liberated” it from a Purdue trophy case in 1953. After speaking on the phone to former IU football coach Lee Corso, I was able to confirm that he and his wife did indeed take the bucket to bed when he first won the trophy in 1976. He was also able to confirm that he and his family placed flowers in the bucket and used it as a centerpiece on their Thanksgiving day table whenever it was in IU’s possession. As of the end of 2015, Purdue leads the overall series between the teams 72-40-6. Purdue also leads the trophy game series 58-30-3 – LET’S ADD ONE MORE WIN FOR IU HERE IN 2016!